There are many mixed messages. Young women are supposed to be scrappy, work long hours and show they're eager — all while somehow figuring out equal pay. 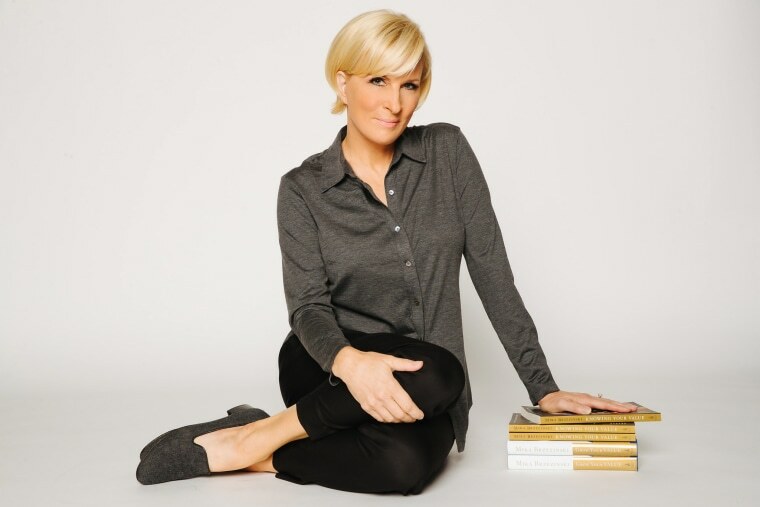 Mika's newest title "Earn It! Know Your Value and Grow Your Career, In Your 20s and Beyond," co-written by Know Your Value millennial contributor Daniela Pierre-Bravo, will be out May 7. Pre-order your copy here. With so much conversation surrounding equal pay this week, I’ve been thinking a lot about how it all applies to younger women who are just starting out in their careers. After all, equal pay is perhaps the most crucial elements during the early stages of a career, because data shows that many women start out at a lower rate than their male counterparts and rarely catch up. This has been on my mind because I’m about to release “Earn It,” which I co-wrote with the much younger Daniela Pierre Bravo, who’s a producer for “Morning Joe.” In the book, Daniela shares her amazing story, and we dive into all the challenges younger women face when they are trying to launch their careers. Because when you’re starting out, there are so many mixed messages. You’re supposed to be scrappy, work long hours and show you’re willing and eager — all while somehow figuring out equal pay. It’s hard to balance it all, which is why it’s important that we support each other. In fact, on Tuesday, Equal Pay Day, I challenged our community to help another woman discover her value. That’s exactly what I did with Daniela. Three years ago, she came to me with a pitch on a small project she wanted to launch for women across the country who didn’t have access to big city opportunities. She wanted to teach them the ropes of how she went from a small town in Ohio to her big time job at “Morning Joe” in New York City. In “Earn It,” we cover everything, including basic interviewing skills, negotiating, building your professional persona, developing your brand and building not only confidence, but resilience. I want to hear from you. What do, or did, you want to know when you were first starting out? Share your questions with us via our social channels @knowyourvalue with #EarnIt.